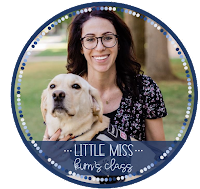 Writing is something that many of my students are NOT a fan of... so I had to be creative and find a way to get my students to practice writing and fine motor skills. After many changes over the years, I've finally found a system that is working for my kiddos for writing/ fine motor groups. Our writing/ fine motor lessons are done in small groups (2 kiddos in a group with a teacher/ para) and are done daily for 15-20 minutes. We do two different activities during our writing/ fine motor time: writing portfolios and fine motor/ sensory tubs. We always do the writing portfolio FIRST and THEN do the sensory/ fine motor activity because most of my students are motivated by the sensory activity, so using the good ole Premack Principle is a great way to get our kiddos to write! Our writing portfolios are very differentiated due to the variety of levels in my classroom. Some students are working on touching texturized letters, some are using a Brailler, some are tracing, and some are copying letters, shapes, etc. Each portfolio has a tab for every day of the week and we work on a different skill each day. On Monday, we work on writing names, on Tuesday we write letters, on Wednesday we write numbers, on Thursdays we write shapes/ pre-writing strokes and on Friday we have fun tracing activities. Having tabs for the days of the week is a great way to promote generalization of writing skills and to keep kids from getting bored. Writing portfolio with textures and Braille for students who have visual impairments and limited ability to hold writing utensils. Writing portfolio for students working on tracing and pre-writing strokes. Higher level writing portfolio for students working on tracing and coping shapes, letters, etc. If you need some free tracing sheets for portfolios, you can grab some from my TpT here. After we do our writing portfolios, every student completes a fine motor/ sensory tub. 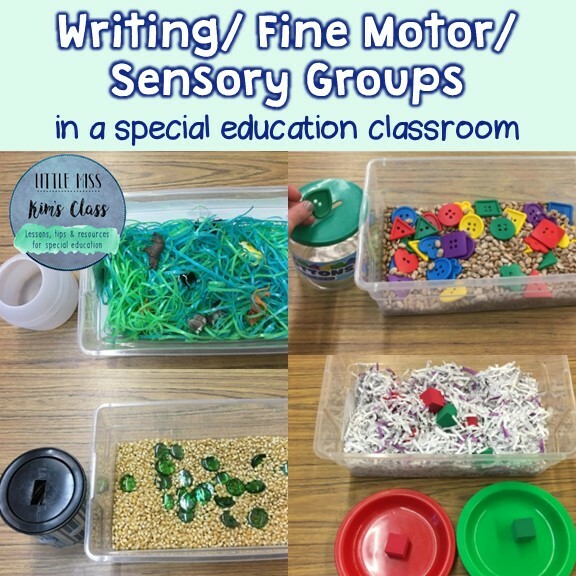 The tubs are also differentiated and include simple sensory activities when students explore objects in sand, noodles, beans, etc., put-in tasks with sensory materials, sorting sensory activities, and much more! We use name tags to label what tub each student will complete for the day. Examples of our sensory/ fine motor tubs. 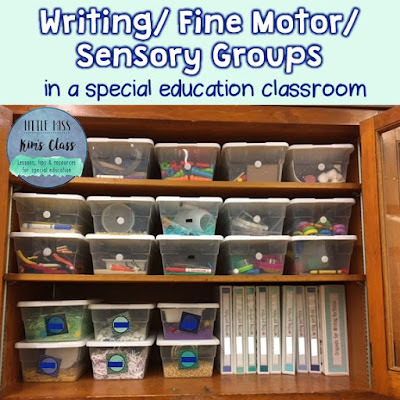 How do you run writing/ fine motor groups in your classroom?